We at Nightline Logistics Group, along with our subsidiaries and affiliates (collectively, “NIGHTLINE” and “PARCEL MOTEL”), respect your concerns about privacy. We may obtain consumer personal information (such as name, contact details and payment information) in connection with various activities such as (i) use of the NIGHTLINE and PARCEL MOTEL websites and applications, (ii) shipping activities, including delivery and pick-up of shipments, (iii) requests to track shipments or answer questions, (iv) events in which we participate, (v) promotions and other offers, and (vi) calls placed with customer service and accounting centers which may be recorded. • Shipping information (such as (i) shipping-related contact details like the shipper’s, and consignee’s and/or neighbour’s (for NIGHTLINE “Leave Safe” feature) name, physical address, access point address (for NIGHTLINE “Parcel Motel” feature), email address and telephone number, (ii) signature for proof of delivery, (iii) NIGHTLINE account number, and (iv) information given to us that helps us access locations to which we provide service) and information provided to us regarding the content of certain shipments, but only to the extent an identifiable person can be linked to such content. In addition, when you visit our websites, use our apps, or interact with NIGHTLINE-related tools, widgets or plug-ins, we may collect certain information by automated means, such as cookies and web beacons. The information we collect in this manner includes IP address, unique device identifier, browser characteristics, device characteristics, operating system, language preferences, referring URLs, information on actions taken, and dates and times of activity. A “cookie” is a text file that websites send to a visitor’s computer or other Internet-connected device to uniquely identify the visitor’s browser or to store information or settings in the browser. A “web beacon” also known as an Internet tag, pixel tag or clear GIF, links web pages or apps to web servers and may be used to transmit information back to a web server. Through these automated collection methods, we obtain and store “clickstream” data to tell us usage patterns. We may link certain data elements we have collected through automated means, such as your browser information, with other information we have obtained about you to let us know, for example, whether you have opened an email we sent to you. We also may use third-party analytics tools that collect information about visitor traffic on our websites or apps. Your browser may tell you how to be notified when you receive certain types of cookies or how to restrict or disable certain types of cookies. Please note, however, that without cookies you may not be able to use all the features of our websites or apps. Both we and others (such as our advertising networks) may collect personal information about our visitors’ online activities, over time and across third-party websites, when using our websites and apps. The providers of third-party apps, tools, widgets and plug-ins on our websites and apps, such as Facebook “Like” button, also may use automated means to collect information regarding your interactions with these features. This information is subject to the privacy policies or notices of these providers. In addition, we use information collected online through cookies, web beacons and other automated means for purposes such as (i) customising our users’ visits to our websites and apps, (ii) delivering content (including advertising) tailored to our users’ interests and the manner in which our users browse our websites and apps, and (iii) managing our business. We may supplement data we collect through automated means with information about your location (such as your postcode) to provide you with content that may be of interest to you. We also use this information to help diagnose technical and service problems, administer our websites and apps, identify users of our websites and apps, and gather demographic information about our users. We use clickstream data to determine usage patterns and how we may tailor our websites and apps to better meet the needs of our users. Our websites and apps are not designed to respond to “do not track” requests from browsers. We also may share the personal information we obtain with our affiliates, franchisees, resellers and joint marketing partners. These entities, which collectively are referred to here as the “NIGHTLINE Business Partners”, may use the information for the purposes described in this Privacy Notice. We may share physical location data with our NIGHTLINE Business Partners and other third parties to, for example, enhance location-based services and develop accurate and up-to-date maps. In addition, except as described below, unless you object, we may share other personal information with third parties who are not NIGHTLINE Business Partners for those parties’ own purposes, such as to offer products or services that may interest you. Information collected through third-party apps, tools, widgets and plug-ins (such as information obtained through third-party login services or relating to your use of a Facebook “Like” button) is collected directly by the providers of these features. This information is subject to the privacy policies of the providers of the features, and NIGHTLINE is not responsible for those providers’ information practices. Many of our customers outsource all or a part of their supply chains to us. Through our forwarding and logistics business units, we manage these supply chains, focusing on supply chain optimisation, freight forwarding and international trade and brokerage services for our customers worldwide (including a broad range of transportation solutions such as air, ocean and ground freight). We also provide information technology systems and distribution facilities adapted to the unique supply chains of specific industries such as health care, technology and consumer/retail businesses. In the course of providing forwarding and logistics services, we may obtain, use and disclose personal information about our customers’ customers. In these circumstances, we process the information based on the agreement with our customer. We offer you certain choices about how we communicate with you and what information we collect from you. You may choose not to receive marketing email communications from us by clicking on the unsubscribe link in our marketing emails, adjusting your email preferences in your NIGHTLINE or PARCEL MOTEL profile, or contacting us as specified in the “How To Contact Us” section below. You also may ask us not to send you other marketing communications by contacting us as specified in the “How To Contact Us” section below, and we will honour your request. In addition, as required by law, you may object at any time on legitimate grounds and free of charge to the processing of your personal information, and we will apply your preferences going forward. Subject to applicable law, (i) you may obtain a copy of certain personal information we maintain about you or update or correct inaccuracies in that information through your NIGHTLINE or PARCEL MOTEL account or (ii) you may have the right to obtain access to personal information we maintain about you by contacting us as indicated in the “How To Contact Us” section of this Privacy Notice. To help protect your privacy and maintain security, we will take steps to verify your identity and/or may ask you to provide other details before granting you access to the information. In addition, if you believe that personal information we maintain about you is inaccurate, subject to applicable law, you may have the right to request that we correct or amend the information by contacting us as indicated below. 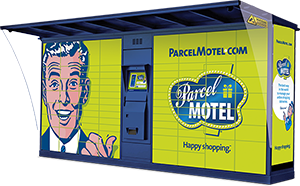 For your convenience and information our websites and apps may contain links to non-NIGHTLINE or PARCEL MOTEL places that may be operated by companies not affiliated with NIGHTLINE. These companies may have their own privacy policies or notices, which we strongly suggest you review. Our services also may be made available to you through third-party platforms (such as providers of app stores) or through other third-party channels. We are not responsible for the privacy practices of any non-NIGHTLINE and PARCEL MOTEL places or services. When we transfer your personal information to other countries, we will protect that information as described in this Privacy Notice and in accordance with applicable law. We use contractual protections for the transfer of personal information among various jurisdictions (including, for example, the European Commission’s standard contractual clauses). If you are a resident of the European Economic Area (“EEA”), the following additional EEA-specific provisions apply to our processing of your personal information. For EEA residents, the provisions of this EEA Addendum prevail over conflicting provisions in the Privacy Notice. The relevant data controller for your personal information is NIGHTLINE. Your personal information will not be stored for longer than necessary for the purposes for which they were collected or as required under applicable retention policies and/or in accordance with applicable law. Our retention policies reflect local statute of limitation periods and national statutory obligations of NIGHTLINE. If you are a resident of the European Economic Area, we may transfer your personal information to countries that have not been found by the European Commission to provide adequate protection, including the United States. For any such transfers, NIGHTLINE takes necessary contractual measures to ensure that your personal information receives an adequate level of protection (including, for example, standard contractual clauses). For further information about NIGHTLINE’s international data transfer practices, and to consult the said contractual measures, please contact us using the contact details in the “How to Contact Us” section above. You may exercise these rights free of charge unless the request is unfounded, excessive, or otherwise unreasonable, for instance because it is repetitive. In some situations, we may refuse to act or may impose limitations on your rights, as permitted by law. Before NIGHTLINE is able to provide you with any information or correct any inaccuracies, we may ask you to verify your identity and/or provide other details to help us respond to your request. For the exercise of your rights, please contact us using the contact information provided above in the “How to Contact Us” section. In all cases, you have a right to file a complaint with a Data Protection Authority.